This unique 1 liter salt glaze beer mug is the Official 2012 Oktoberfest Wirtekrug (host's mug) used and sold exclusively at the beer tents of Munich's 2012 Oktoberfest, held 9/22/2012 - 10/07/2012! The front features a depiction of three burley beer maidens of Oktoberfest holding over a dozen Kannenbäcker beer steins with the festival shown the background. This motif is derived from the work of Emil Kneiss and was redrawn by Tita Gronemeyer from a postcard. The sides feature the logos of the 15 large beer tents at the 2012 Oktoberfest. The 200th Anniversary (seit 1811) of the Central Agricultural Festival and 525th Anniversary (seit 1487) of the Münchner Reinheitsgebot (Munich purity law) are highlighted on crests below. These mugs are normally only available at the Munich Oktoberfest, however we were able to acquire a limited supply of these mugs from the manufacturer. Each mug has a copy of the artist's signature on the bottom, has a hand painted limited edition number and comes in a gift box. These mugs make for a great way to bring a small piece of the traditional Bavarian Oktoberfest celebration straight to your very living room! We were able to obtain a limited number of these steins directly from the manufacturer, and are the same exact ones that were used in the beer tents during the 2012 event. These salt glazed, wirtekrug beer mugs are exceptionally rare, and because they were made to commemorate the 200th anniversary of Oktoberfest, special attention was given to detail in these mugs. Their ornate design and use of vibrant colors really help to set them aside from other Oktoberfest mugs, making them the perfect addition to any serious stein collection. These mugs are the real deal, and each mug comes stamped with Wirtekrug’s seal of authenticity along with an individual production number. All of our German collectibles and party supplies make great gift ideas. 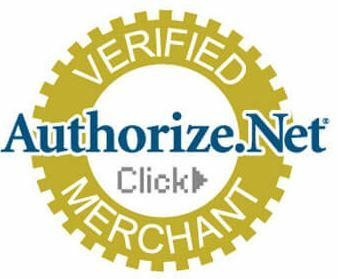 In addition, most of our available glassware items are eligible for our custom engraving services. For a minor upcharge, we are able to engrave names, dates, sayings, initials, and even entire company logos! Custom engraving makes for a great way to personalize your glass beer mug, tankard, or craft beer glass. They add an individual touch to your German glassware, and provide the perfect way to show someone you were thinking of them. Custom engraveable mugs make a great way to commemorate any wedding, holiday party, or other festive social event! These beer mugs not only look aesthetically pleasing, but they are also designed to enhance your beer drinking experience as well. Their stoneware composition and insulated craftsmanship allows your beer to stay colder longer, and makes it to where you avoid direct contact with the glass via your hands. Also, their open mouth allows you to fully savor and bask in the delicious hoppy smell of your beer of choice. This makes our stoneware mugs a much more enjoyable alternative to drinking out of standard glass bottles, or in extreme cases aluminum cans! Like this 2012 official Oktoberfest host’s mug? 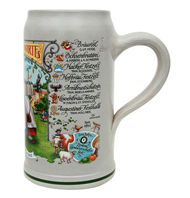 Check out the 2011 Oktoberfest salt glazed mug as well! Unique salt glaze finish and hand-applied handle. Great find! Rare and very special! What a great find and what a bargain! Limited production and only available during Oktoberfest in Munich (can only get them then and there). The art work is phenomenal and truly beautiful. Because 2012 was the 200th anniversary of Oktoberfest, it is extra special and it's reflected in the art work. Don't miss it if you can. I love it . . . and I'm not a fan of salt glazed. It has a pale grayish tint (photos are 100% accurate).